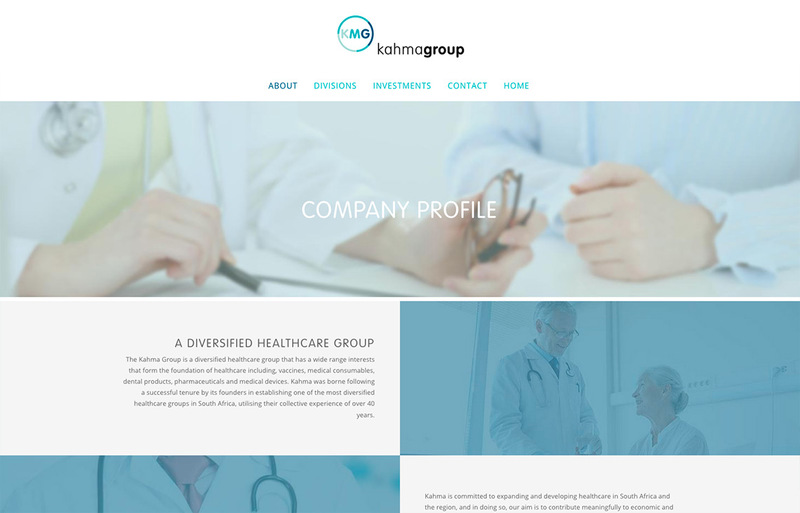 The Kahma Group required a small branding website to provide basic information on the company and the services it provides. 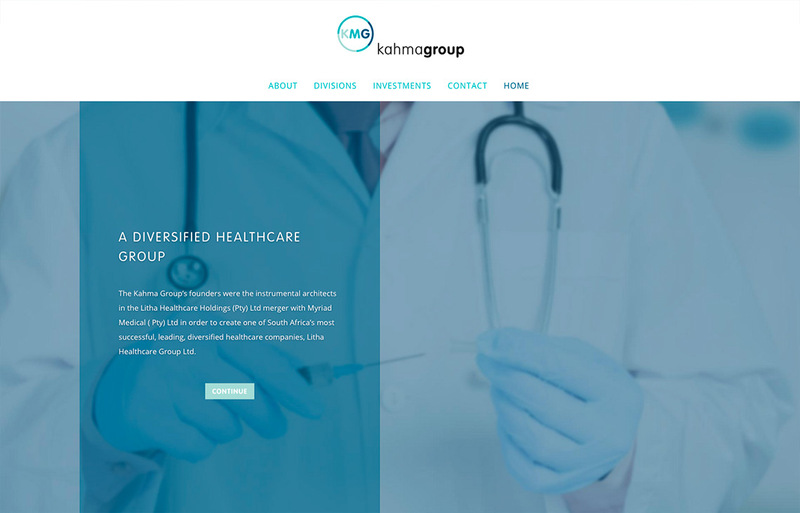 The Kahma Group webdesign project was part of a bigger project which included four other websites the biggest being the K2 Medical website. 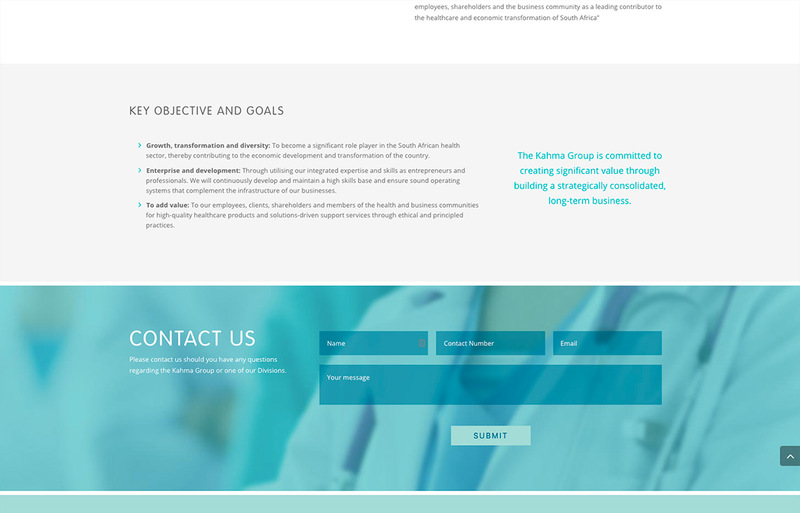 Black Rooster Studios was privileged to be involved almost from the start of the Kahma Group’s Branding development. The logo and CI was already designed, we had the task of rolling this out across the company’s online presence. 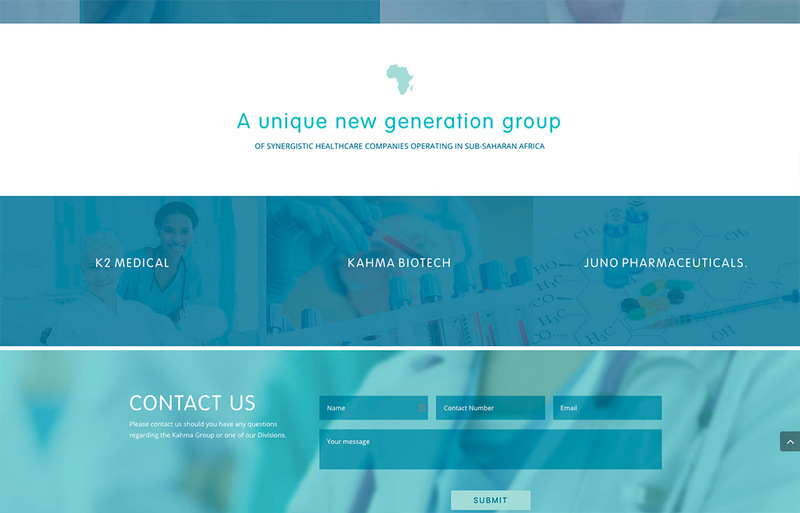 The clean, graphic look was important to enable the Kahma Group to stand out from their competition who had been around much longer and were really big brands in the industry. We love the clean design applied to the WordPress responsive website. An important part of all our projects is the Search engine optimisation (SEO) component. Without it you might as well not bother with a website as you will not appear in Googles search engine results.